A commercial aluminum fence offers an ornamental design that will add beauty to a business while also meeting any security requirements. 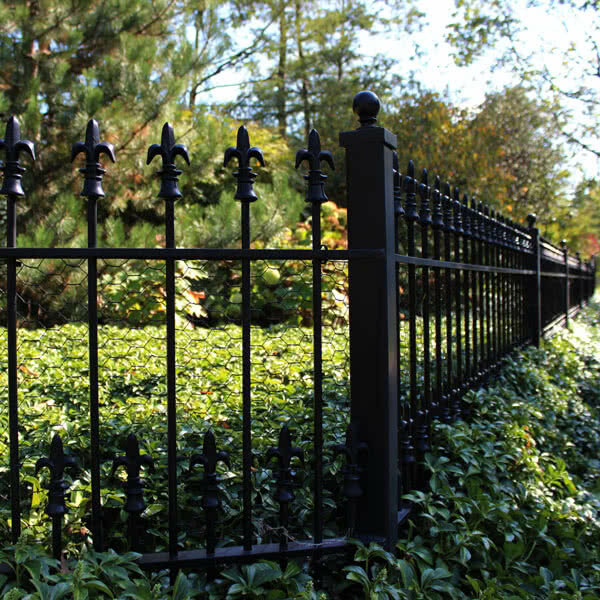 It is a durable, low-maintenance alternative compared to using traditional wrought iron. Our aluminum fencing solutions offer sophisticated designs, product strength, and rust resistance. We offer a variety of ornamental styles and heights to help match budgets and project types. The horizontal rails are engineered to provide maximum strength for added security. The fence can be adjusted to fit the landscape so it can be used on sloped land without leaving gaps at the bottom. Aluminum will not rust so minimal maintenance is required. We offer both industrial and commercial aluminum fences that provide the same look but have slight variances in their specifications, color options, and pricing. We will provide the exact specifications you need based on the fence you choose. 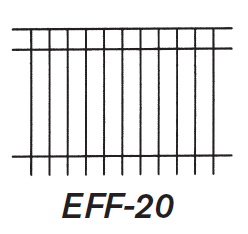 Our ornamental aluminum fences are available in several different styles. Additional styles are available. 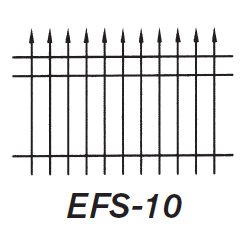 Most commercial options have 3/4" x 3/4" pickets, while industrial options have 1" x 1" pickets. 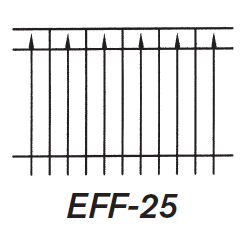 These styles are also recommended for securing a pool because they are available with a drop rail, which means panels are flat across the bottom, to meet local pool fence codes. Choose from one of these popular color options. Some styles may have other colors available. Depending on the style and grade of the aluminum chosen, there are scratch-resistant finish, polyester powder coating and fade resistant color options available. 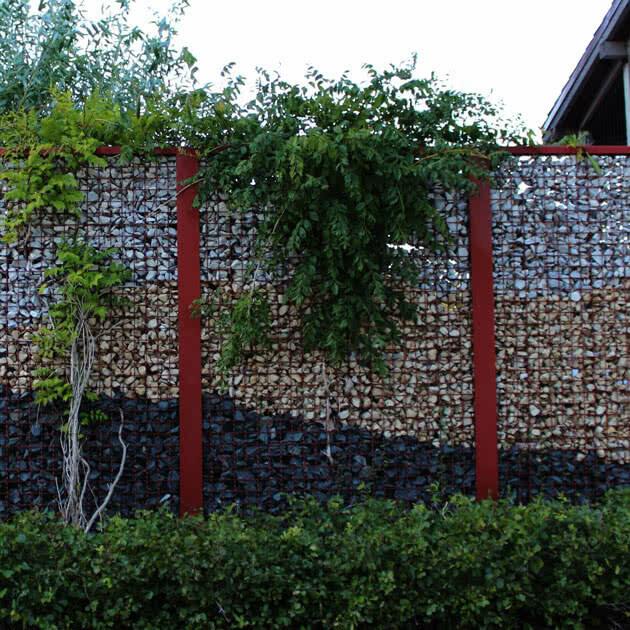 Add the finishing touch to your fence design with post tops and other accessories. Matching aluminum walk gates and double drive gates are available to match all styles, sizes, and heights and include standard hinges and latch. We also offer self-closing gate hardware, as well as gate alarms to secure pool areas. Additional gate styles are available. Learn more about all of our gate solutions. Upgrade the look of the gate with a different style of hardware and / or latch. Aluminum fences are low maintenance since they do not rust. Learn more on how to care for an aluminum fence. We offer a Transferable Limited Lifetime Warranty that warrants against peeling, flaking, splintering, corrosion, rusting, or abnormal discoloration under normal and proper usage. Learn more about our warranties.